"But Blackheath won first-time-out last season, and he proved that 6f on quick ground (it was officially firm there, and it is good to firm at Newmarket despite them putting down another 6mm on Sunday) held no fears for him when winning in a fair time at Salisbury last July, beating a horse that won his next two races." Over-confidence when assessing sprint handicaps, especially one where nine of the 15 runners are making their reappearances, often leads to a severely-depleted betting balance, such is the seemingly-random nature of these races, not least the need for luck in running and to be drawn in the right race. I think any tipster who talks in terms of any horse being "a certainty" is probably being a touch unprofessional - it is usually sensationalist nonsense, so I sincerely hope that I haven't said it, other than about a big odds-on poke, anyway - but I must admit, when first looking at Newmarket's 13:50 on Sunday morning, that I was getting pretty bullish about the chances of Blackheath until I clocked that his trainer Ed Walker could be in better form. At that time, Walker had only three winners in 2019 - and two of those were his other runner in this race, Desert Doctor - and his pair at Newbury on Saturday finished stone-last. But then up popped Stormy Antarctic to win a Group 3 in Germany on Sunday afternoon, albeit at 2s on, and all was right with the world. And I was undoubtedly reading too much into a very small sample anyway as, when I delved into his form a bit deeper, I was a bit embarrassed at myself. He actually had a winner thrown out at Wolverhampton at the start of the month, and has also had a couple of near-misses in recent days. So, with one major, nagging doubt cast aside (there is another - well, maybe 14 if you are looking at the opposition), I reckon Blackheath really does rate a superb bet at 9/1 each way in the 6f sprint handicap, four places, with the Betfair Sportsbook. The double-figure prices that were knocking around yesterday afternoon have gone, but 9/1 is still a bet, all right. I think he could off favourite for the following reasons. The fact that Walker won this race with Aeolus last year is probably of no consequence at all, but it all adds to a very rosy picture. And the claims of his Blackheath look undeniable, for all he has never raced at Newmarket, and certain horses simply don't handle the dip and the undulations. So that's the other concern. But Blackheath won first-time-out last season, and he proved that 6f on quick ground (it was officially firm there, and it is good to firm at Newmarket despite them putting down another 6mm on Sunday) held no fears for him when winning in a fair time at Salisbury last July, beating a horse that won his next two races. He failed to win in his subsequent four starts, but there was no disgrace in at least two of those. Far from it, and apparently he was also a touch unfortunate on his penultimate outing as well, but there is no video archive of that. He bumped into a horse, Encrypted, now rated 12lb higher when 3/4 length second at Chelmsford in August and then he really should have signed off for the season with a win on his return to Salisbury in October. He was trapped on the inner going well there, and by the time Liam Keniry had switched him twice to get out and get a clear run, the all-the-way winner had flown, but he still only failed by 3/4-length to reel him in. So I don't have any trouble whatsoever with a 2lb-rise for that run. With a clear passage I think he would have won that race and gone up in the region of 7lb. And the bare form is pretty strong, anyway. The winner and fourth were going into that race on the back of a success, and the third won next-time-out, and the fifth and sixth also obliged later in the year. If Blackheath is straight enough and handles the track, and gets a clear run at it, then I really do expect a huge run from him. The final piece of the jigsaw was achieved when the weights went up 2lb at the overnight stage, which allowed to get him into the handicap and race off his current mark of 86. Of course, there are loads of dangers - this is a 15-runner 0-100 sprint handicap after all, where the draw could play a big part - but Blackheath, drawn in 11 of 15, is my idea of the most likely winner and would be my idea of the favourite. As you may have guessed. 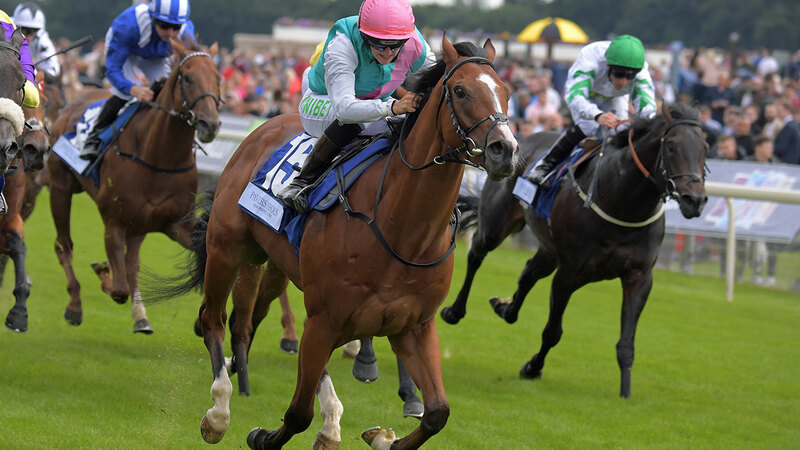 There are three other races on ITV4 and the class highlight promises to be the Group 3 Nell Gwyn Stakes at 15:35. 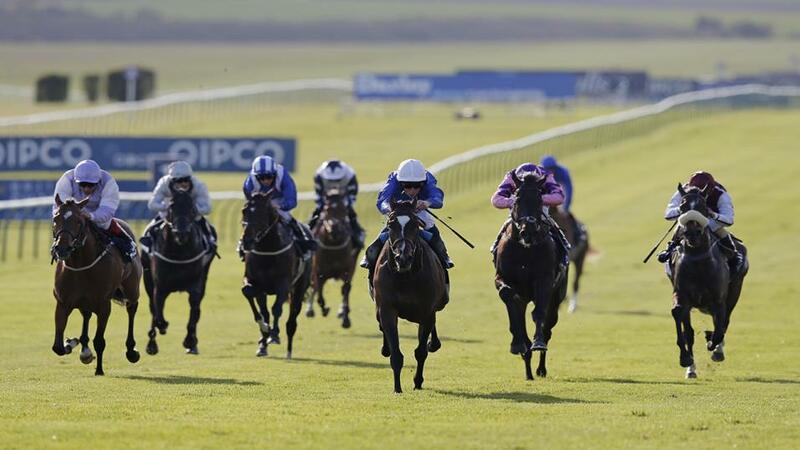 Whether, this turns out to be a genuine trial for the 1,000 Guineas back here on May 5 we shall see, but it won't take a stunning performance to make a fair dent in that Classic market, as I was a touch surprised to see it is basically 10/1 the field on the exchange, and that brings the likes of Skitter Scatter and Just Wonderful. The betting suggests the likelier lasses are Mot Juste, Main Edition and Angela's Hideaway, but it doesn't take a leap of faith to see any number of the opposition coming up to their 2yo level. The Feilden Stakes at 15:00, is a similar race but it at least boasts a form choice who has had a decent-enough run under his belt this season, and who promises to be suited by the 1m1f trip and quick ground. Step forward Group 1 Vertem Security third Western Australia, but the problem is that he was never going to be given away in the market at around 7/4. And, again, he faces six rivals who have all the right profiles (and stables) to give him a fright, and maybe more. I used to love the Free Handicap at 14:25, in years gone by, and Pursuit Of Love striding away to win the 1992 renewal in the apricot silks of Lord Howard De Walden is still fresh in my memory. Well, quite, anyway. 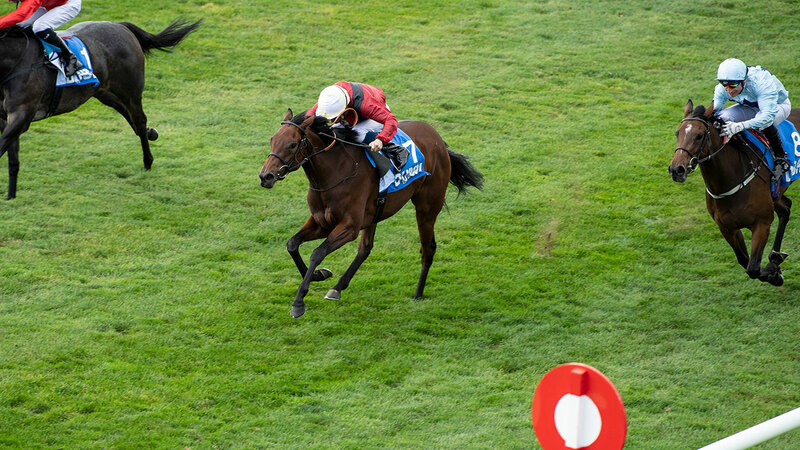 He went on to finish a good third in the 2,000 Guineas but the race has waned as a Classic-pointer, and it is pretty hard to see any of these going on to make any impression here next month. It is also a very tricky handicap to gauge in its own right, though the market is predictably headed up by Azano and Shine So Bright. Azano's Horris Hill second to last week's Greenham winner Mohaather obviously makes him of big interest, and the way King Power Racing operation have started this season suggests their horses have been geared up for an early-campaign splash. Their Shine So Bright looks another likely sort. I can't have a bet in the race but it is not often you see Ryan Moore ride the outsider of the party and Victory Command has leading claims on his best 2yo form. But the horse doesn't have a prayer if he performs the way he did in Dubai earlier in the year. No, it all revolves around Blackheath today. I noted that Ed Walker had an Open day for his owners a couple of weekends ago, but I couldn't find any mention of this horse. Hopefully that is a good sign!